are willing to work with this organization they May apply for this post. Last Date of Apply 10-February-2018. Total numbers of vacancies are 58Posts. 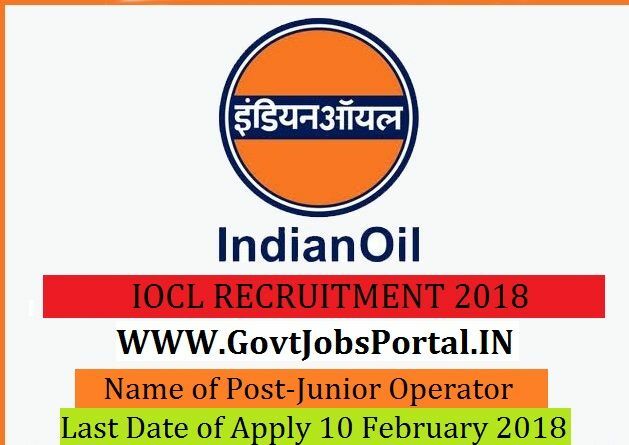 years can apply for this Indian Oil Corporation Limited Recruitment 2018. OBC candidates and 40% in case of SC/ST candidates. age 18 years & maximum age 26 years. What is the IOCL Selection Process job? What is the Application Fee for these IOCL Jobs in India?